Hum, I never heard the above quote before--but I like it!! You would think after 66 years on this earth I would know who I am. Well, actually I do--but like the earth I am always evolving and changing--hopefully for the better. Just like I know what I would do if I was the 1 winner of $150. I would do one of 2 things-pay down some debt or save it for a rainy day! Okay--maybe I'd get a couple of books as well!! 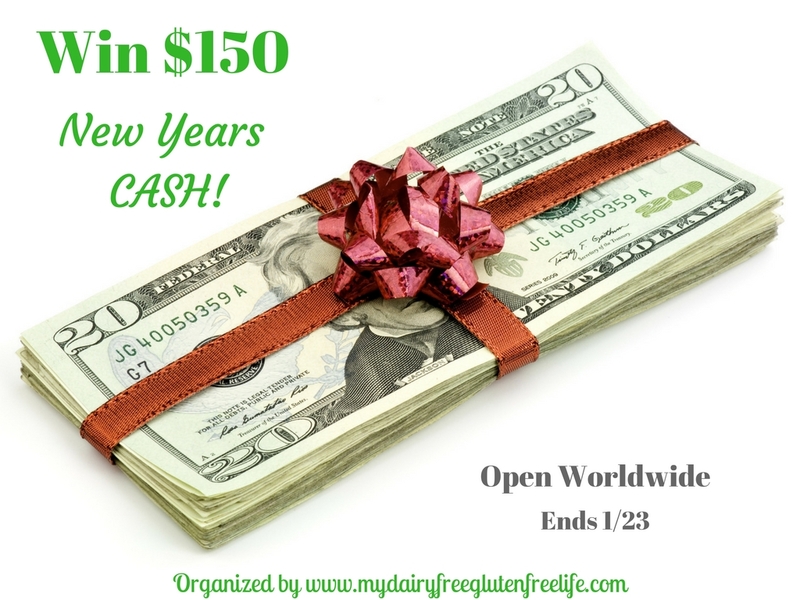 To help celebrate this New Year, we have joined with a group of great bloggers to bring you a $150 New Years CASH Giveaway! Who wouldn’t like a little extra moola to help with expenses after the holidays! I live in Florida and it is very cold at 35 degrees. Not usually this cold. Nice to put on some hat and gloves instead of sunscreen and sun glasses. I live in Illinois and it's pretty chilly, but this is warmer than it has been recently! I live in Missouri and it's 28 and overcast and we have about 1 inch of snow on the ground. I live in New Jersey and we have had snow over the past weekend which stinks. It's really cold like below 5 degrees. I live in Georgia and we've had an ice event for the past few days. It's still very cold outside with icy patches on the roadways. I love in Pennsylvania and it is super cold and windy today. Brrrr. I live in Wisconsin - it's bitter cold.. and we had snow today. yay! i live in the western province Sri Lanka. the weather is fine outside. I live in Oklahoma and the high today was in the 50s--not too bad. We live in Texas. It was actually pretty nice out today. Not too cold! I like in Ontario Canada and it is cold and we are currently expecting a snow storm. ice ,snow 20's. live in NH. HI I am in HOUSTON, TEXASand its 40's in the morning and 70's in the afternoon...basically flu weather LOL..thanks for this prize! Hawaii, Alot of Vog haze however we have showers and cool breezes. I live in CA and the weather is stormy: lots of hard rain and wind. I am in Ohio. Today we had sleet, freezing rain and showers. Cold and windy! I live in Florida. There is a definite chill in the air. We're all wearing jackets. I live in Ontario and it is actually not too bad outside today. The sun is shining. I am in British Columbia. It is sunny and cold today. I live in SC and it's feeling a lot like Spring outside already today lol. I live in NY and it's cold and windy today! I live in NY and it's cold here! I live in NJ and it's raining! I live in PA, and it's around 40 degrees and clear! I live in Slovenia and we have snow and it's so so cold. I am in Michigan where it is cloudy and was raining earlier. Thank you for the chance to win! New York - it is windy but not much snow right now in my area. I live in Florida and it is around 78 right now and has been cloudy and very windy with some thunderstorms. I live in MD and it was rainy today and 48. I live in Missouri, it's about thirty five degrees right now. I live in Florida. Today it has been windy and in the upper 60's.